When working with Docker, most folks are very familiar with deploying and building Linux-based containers. ASP.NET Core is a web framework that works great on both Windows and Linux, and can run on both the cross-platform .NET Core framework and the classic .NET Framework. Last week, I was asked about how to package that ASP.NET Core application such that it runs on .NET Framework on a Windows-based container with IIS. I took some time on my live-stream show and walked through the process. #Depending on the operating system of the host machines(s) that will build or run the containers, the image specified in the FROM statement may need to be changed. Let’s start cleaning this up. The “build” container should be based on microsoft/dotnet-framework:4.7.2-sdk – this container has the .NET Framework build tools and it has the .NET CLI v2.1.400 installed. The entrypoint should be handled by IIS, and we should only be copying our application into the IIS image. Hmm.. let’s change the base image to microsoft/iis and change the publish step to write the application into the /inetpub/wwwroot that IIS hosts applications out of. When I opened my browser and navigated to localhost:8000, it errored out. No dice, no joy. No Joy – Where’s my website? That’s where we ended with the video stream. What was missing? Why wasn’t it running? I reached out to the IIS team and asked about the problem. Quickly they gave me a sample dockerfile that installed the missing ASP.NET Core hosting pack. Doh! That was it… the application ran properly. Windows containers really are just like Windows virtual machines or Windows servers. If you find that the base Windows images don’t have what you need on them, its easy enough to run some Powershell or a Chocolatey script to install the missing components. With this bit of additional installation, we’ve got a container image that can run .NET Framework 4.7.2 and host an ASP.NET Core application on IIS. 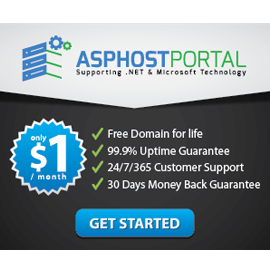 If you are looking for Windows ASP.NET Core hosting that support Docker, you can consider ASPHostPortal.